Luisa Sciavolo and Jody Somers have their own love story to be sure but I learned to love them at the Northwest corner of Union Square at the farmers market there years ago. Eating their Tuscan style sausage and cheese for more lunches than I would care to count was an old kind of nourishment. Over time I learned about Luisa’s origins from the Maremma in Tuscany. While the Maremma is famous for cowboys it really is famous for perhaps the finest sheep cheeses in the world. And Jody and Luisa make stunning cheese on their Dancing Ewe farm in Granville, New York. The wool from their sheep have been spun and woven into traditional Tuscan sartorial splendor. Olive oil has a long history in the Mediterranean to be sure, perhaps seven thousand years by some estimates. But oil produced in medium scale in Tuscany is between a thousand and fifteen hundred year old tradition. 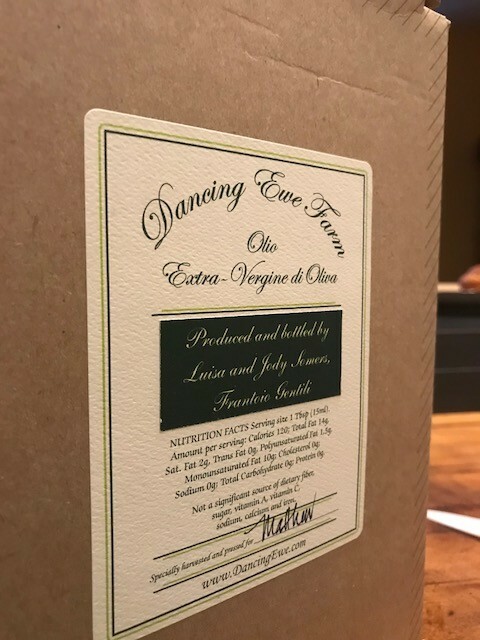 Olive trees live between three hundred and four hundred years and so it is well possible that olives groves that grow on Luisa’s family farm are the gnarled and productive grandchildren of the first olives to land in Toscana antica. Jody and Luisa are committed to walking the old traditional path with producing their oil. No huge machines. No tree shakers. 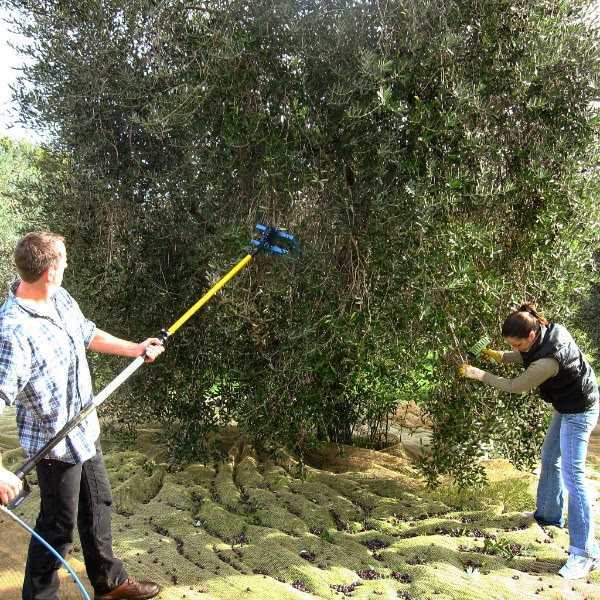 Just nets and a ‘rastrello’ – a tree rake. You want products like this in your life. Products that have been labored over, loved, cried over, worried about and gratified for. This is life affirming food and life affirming ways that honors an old and worthy culture. Jody and Luisa are doing the work. and you should reach out to them DancingEwe.com to get their cheeses, meats and join their olive oil CSA. I just got my bottle a few days ago. Primal Derma tries hard to be of the same fine caliber of people, products, and places like Luisa and Jody, their oil, and the fine salted air of Maremma. Thanks for supporting us and if you need some grass fed tallow skincare in your days or know someone who does…let us know.